June 24, 2016 in 2016, General Media Release, Research. Childhood cancer death rates in Australia have decreased by nearly 40 per cent over the past 15 years, new Cancer Council figures show. The national figures, examining 30 year trends, will be released at the Australian and New Zealand Children’s Haematology/Oncology Group (ANZCHOG) Annual Scientific Meeting in Cairns today. Cancer Council Queensland Head of Research Professor Joanne Aitken said the sharp drop in mortality was largely driven by a decrease in childhood leukaemia deaths. “Childhood cancer death rates decreased by about three per cent per year between 1998 and 2013 – these are the latest figures available,” Prof Aitken said. “The new data shows significant improvements in survival for leukaemias, lymphomas, neuroblastoma and malignant bone tumours in children. “However, we are still in need of survival improvements – there was little or no survival change for several types of childhood cancer over recent years, particularly liver cancer. 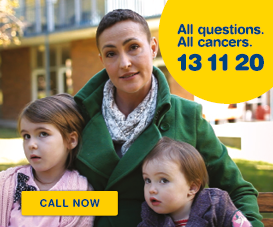 Around 710 children aged 0-14 are diagnosed with cancer each year in Australia, and about 100 die from the disease. ANZCHOG Chair, Dr Chris Fraser said cancer research, particularly clinical trials, had led to improved treatments, ensuring better survival rates for children across Australia. “Five-year survival rates for childhood cancer nationally are among the best in the world – Australia has the lowest childhood cancer mortality rate among all G20 countries,” Dr Fraser said. Tumours of the central nervous system (mainly brain tumours) account for the largest number of childhood cancer deaths in Australia (40 per cent), followed by leukaemias (23 per cent) and neuroblastoma (12 per cent). Cancer Council Queensland spokesperson Katie Clift said donations and funding were urgently needed for more research to beat the disease. “Almost half of all cases of childhood cancer are diagnosed in children 0-4 years of age,” Ms Clift said. “Cancer remains the most common cause of disease-related death for children aged 1-14 in Australia – highlighting the urgent need for greater research and support services for families affected. 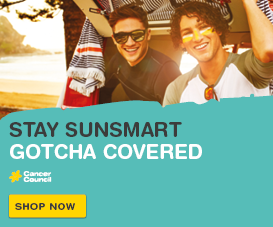 Cancer Council Queensland independently funds and manages the Australian Paediatric Cancer Registry – one of only a few national clinical registers of childhood cancer in the world. ANZCHOG is the society representing healthcare professionals who work with children with cancer in Australia and New Zealand. 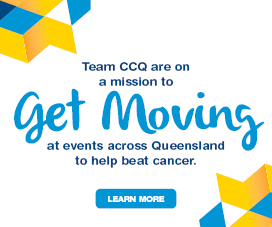 More information about Cancer Council Queensland is available via Cancer Council’s 13 11 20 or cancerqld.org.au. More information about ANZCHOG is available at www.anzchog.org/.